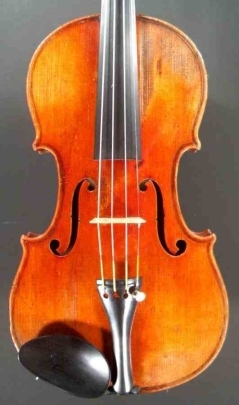 He was the third son (J.B. was the first) of violin maker Claude Francois Vuillaume, born in Mirecourt, France in 1802. He apprenticed with Per, and soon moved on to work with his big brother, Jean Baptiste, in Paris. He worked in Paris with his brother until 1828, when he decided to set up his own shop in Brussels; maybe so he wouldn't have to put his brother's name on his own work any more. In Brussels he ran a very successful business, winning many medals for workmanship and even being knighted by the Belgian Government. 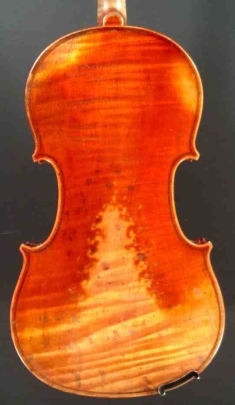 He'd often travel to Italy to buy wood and look for valuable instruments; most think of J.B. as the guy who all of the Stradivarius' passed through, but quite a few went through the hands of Nicolas-Francois first. 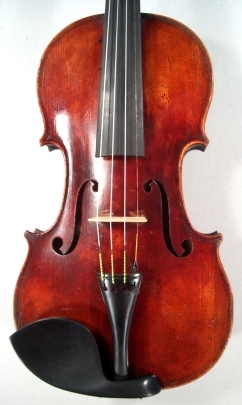 He produced instruments of superb workmanship, which made the Belgian makers incredibly jealous. He became the luthier to the Royal Conservatoire in Belgium, expanding the influence of his last name over the violin making world. His violins are indeed comparable to his brothers, but are a fraction of the price. Though Jean Baptiste is much more well known, many of instruments that Nicolas Francois produced are on the same level of his brother's. Actually, a few of the instruments labelled Jean Baptiste were actually made by Nicolas during his time in Paris. But it is safe to say that these two brothers were incredibly gifted violin makers, which begs the question: Were they, and all of the siblings competing in Sochi 2014, a product of nature or nurture?